LONDON (AP) — The chief executive of Airbus warned Thursday that the aviation giant could move its U.K. operations out of Britain if the country leaves the European Union without a deal on trade relations, in one of the starkest assessments yet of the economic impact of a “no-deal” Brexit. Tom Enders said Brexit threatened to destroy a century of development in the Britain’s world-leading aviation industry. Business leaders have expressed growing frustration at the lack of progress in securing a Brexit deal before Britain’s scheduled March 29 exit from the bloc. Last week British lawmakers threw out the divorce deal Prime Minister Theresa May had struck with the EU, and attempts to find a replacement are gridlocked. U.K. firms are bracing for disruption amid fears that a “no-deal” Brexit will cause economic chaos by eliminating trade agreements and imposing tariffs, customs checks and other barriers between the U.K. and the EU, its biggest trading partner. The Bank of England has said that in a worst-case scenario, a sudden Brexit with no deal on future relations could trigger a recession, with Britain’s economy shrinking 8 percent within months as unemployment and inflation soar. Since her Brexit deal was rejected by Parliament last week, May has been holding talks with government and opposition politicians, business representatives and trade union leaders. But she has shown little appetite for radically altering her Brexit plan, or lifting her insistence that Brexit means leaving the EU’s single market and customs union. Instead, she hopes to win lawmakers’ backing for her deal after securing changes from the EU to a contentious measure designed to ensure an open border between EU member Ireland and the U.K.’s Northern Ireland. EU leaders insist they won’t renegotiate the withdrawal agreement. Britain’s divided Parliament is set to vote Tuesday on May’s proposal — and on rival plans, including attempts by groups of legislators to delay Britain’s exit and to rule out a “no-deal” Brexit. 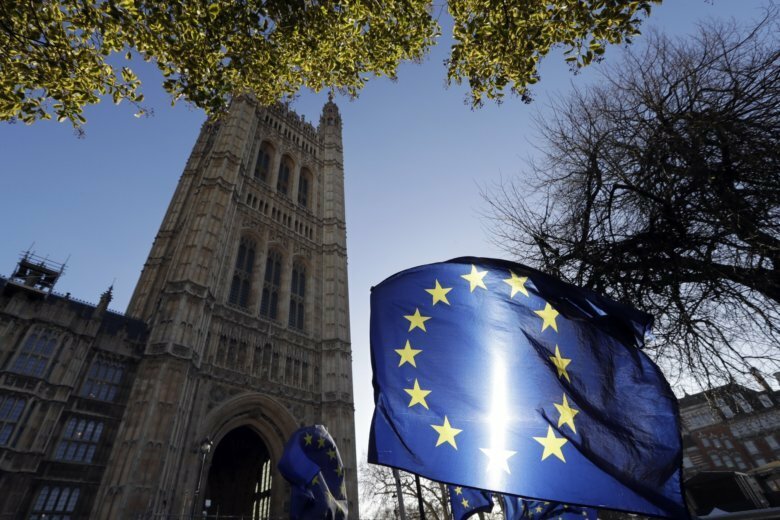 May’s government has rejected both ideas, but a growing number of lawmakers believe Britain will have to ask the EU to delay Brexit past March 29 to solve the Brexit impasse.